Michael Botticelli is one of the nation's leading addiction experts, and served as the Director of National Drug Control Policy at the White House under President Obama. He was the first person to hold the position who was also in long-term recovery from a substance use disorder and who came from a public health background. This marks a return to Boston for him, where he previously served as Director of the Bureau of Substance Abuse Services at the Massachusetts Department of Public Health, working closely with many BMC experts and others to extend successful models of care developed at BMC across the state and the nation. He has served in a variety of leadership roles for the National Association of State Alcohol and Drug Abuse Directors. He was a member of the Advisory Committee for the Substance Abuse and Mental Health Services Administration's Center for Substance Abuse Prevention and the National Action Alliance for Suicide Prevention. He has also co-authored many peer-reviewed articles that have significantly contributed to the field. 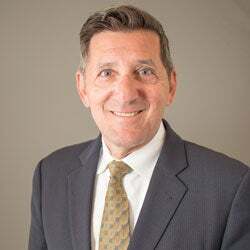 Born in Upstate New York, Mr. Botticelli holds a Bachelor of Arts degree from Siena College and a Master of Education degree from St. Lawrence University. Daniel Alford is the director of the Clinical Addiction Research and Education (CARE) Unit at BMC and BU School of Medicine (BUSM), professor of medicine at BUSM and director of the Safe and Competent Opioid Prescribing Education (SCOPE of Pain) program at BUSM. His clinical, educational and research interests focus on opioid use disorders and safe and competent opioid prescribing for chronic pain. In 2016, Alford was awarded the Educator of the Year Award by the American Society of Addiction Medicine and was recognized as a Champion of Change by the White House Office of Public Engagement in 2011. Alford is also the recipient of the Nyswander-Dole Award of the American Association for the Treatment of Opioid Dependence and past-President of the Association for Medical Education and Research in Substance Abuse. Alford is the medical director of the Massachusetts Screening, Brief Intervention and Referral to Treatment - Training and Technical Assistance (MASBIRT TTA) program. He is also the course director of the BUSM Immersion Training Programs in Addiction Medicine funded by the National Institute on Drug Abuse (NIDA). Sarah Bagley is the founder and director of the BMC program for adolescents and young adults with substance use disorders called CATALYST (Center for Addiction Treatment for AdoLescent/Young adults who use SubsTances). 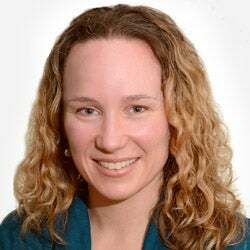 She also serves as an attending physician on the Inpatient Addiction Medicine Consult Service team at BMC and is an assistant professor of medicine and pediatrics at BUSM. 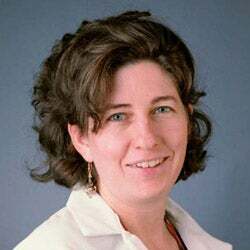 Prior to her appointment at BMC, Bagley trained in a combined internal medicine-pediatrics program at Brown University. Her research focuses on the engagement of adolescent and young adults in substance use disorder treatment and involving family in addiction treatment. Edward Bernstein is the founder of Project ASSERT, the nation's first Screening, Brief Intervention, and Referral to Treatment program for substance use disorders, and director of the Faster Paths to Treatment program at BMC, which provides urgent access to a continuum of addiction treatment options. 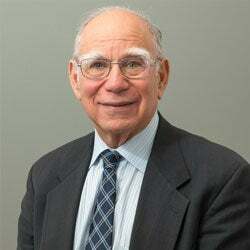 Bernstein also serves as a professor of emergency medicine at BUSM and professor of community health sciences for Boston University School of Public Health (BUSPH). For the past twenty-five years, Bernstein has pioneered methods to integrate public health into emergency medicine practice and developed and disseminated systems of emergency care that enhance health communications between providers and patients. Bernstein's extensive NIH-sponsored research focuses on the application of motivational interviewing to reduce drug use and sexual risk behavior among emergency department patients with cocaine and heroin abuse, adolescent alcohol and marijuana use and at-risk and dependent alcohol use. He represents the Non-Public Schools of Medicine on the Public Health Council of the Massachusetts Department of Public Health which promulgates rules and regulations, holds public hearings, and approves certain appointments and Determination of Need applications. 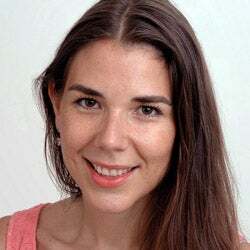 Natalija Bogdanovic is a child and adolescent psychiatrist and site director for the outpatient child and adolescent psychiatry rotation for the General Psychiatry Residency Program at BMC and an assistant professor of psychiatry at BUSM. She also provides consultation to the BMC CATALYST Clinic for young adults struggling with addiction and coverage for the Boston Emergency Service Team (BEST), a 24-hour emergency services program for people requiring acute psychiatric intervention and providing a comprehensive, highly integrated system of crisis evaluation and treatment services to the greater Boston area. 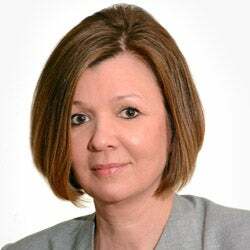 In addition to her work at BMC, she is a Diplomat of the American Board of Psychiatry and Neurology in the Specialty of Psychiatry and the Subspecialty of Child and Adolescent Psychiatry and is fluent in Serbian, Bosnian and Croatian. Eric Devine is the director of the Clinical Studies Unit in the Department of Psychiatry at Boston Medical Center. 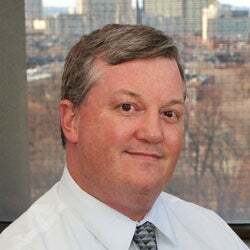 Dr. Devine serves as Vice-Chair for the Boston Medical Center and Boston University Medical Campus Institutional Review Board, and he is the Director of the IRB Internship training program. He teaches addiction treatment courses for the Mental Health Counseling and Behavioral Medicine Program at Boston University School of Medicine, and also for the BU School of Social Work Professional Education Program. Dr. Devine is a member of the Motivational Interviewing Network of Trainers (MINT). He has participated in numerous NIAAA and NIDA-funded multi-site trials testing medications for the treatment of substance use disorders and has had a role in two SAMHSA-funded grants focused on training and dissemination of SBIRT. Dr. Devine also had a role in the development of psychosocial treatments for addiction and has co-authored several treatment manuals and online behavioral platforms for use in multi-site trials testing medications for substance use disorders. 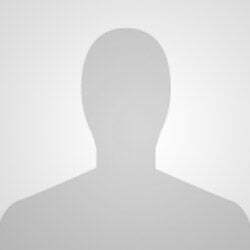 Special Interests: Medication development, clinical trials, psychosocial treatments for substance use disorder, motivational interviewing, cognitive behavioral therapy, universal screening for substance use, ethics of human subjects' research, and manualized treatment approaches for substance use disorders. Lisa Fortuna is the medical director of Child and Adolescent Psychiatry and a health services researcher at BMC and an assistant professor of psychiatry at BUSM. Her clinical work focuses on behavioral health services for adolescent substance use disorders and co-occurring disorders. Fortuna is involved in ongoing research and services development for adapting evidence-based interventions for community and school-based prevention and dual diagnosis treatment for immigrant populations, and has published several peer reviewed articles in the topics of PTSD, substance use disorders and addressing health disparities for immigrants and communities of color. In addition to her work at BMC, Fortuna previously served as the child and adolescent psychiatrist for the Motivating Youth Recovery Unit in Worcester, MA, an acute residential program for adolescents with substance use disorders. She is also a Diplomat of the American Board of Psychiatry and Neurology and the American Board of Addiction Medicine. 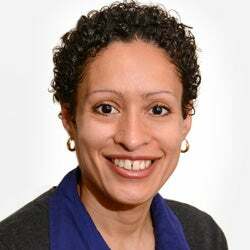 Traci Green is the deputy director of the Injury Prevention Center at BMC and associate professor of emergency medicine and community health sciences at Boston University School of Medicine. Green's research and advocacy have centered on opioid use, injection drug use, opioid overdose surveillance, and developing and evaluating public health strategies to address overdose and addiction. Green's research has led her to develop innovative behavioral interventions to improve patient engagement, examine structural interventions to reduce drug-related harm, and measure the impacts of community-based programs for overdose prevention in Rhode Island, Connecticut, and Massachusetts. Dr. Green advises Rhode Island Governor Gina Raimondo and her Task Force, and co-authored the state's strategic plan on opioid addiction and overdose. She also serves on the Board of Scientific Advisors for the National Center for Injury Prevention and Control at the Centers for Disease Control and Prevention, and is a scientific consultant to the CDC and the Office of National Drug Control Policy's High Intensity Drug Trafficking Areas. 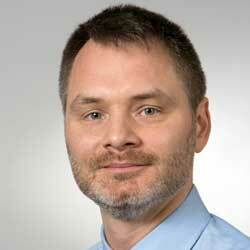 Scott Hadland is an adolescent medicine and addiction specialist at BMC. Dr. Hadland's clinical and research interests focus on youth substance use and improving care for young people who use heroin and prescription opioids. 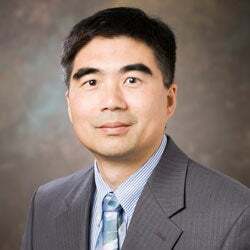 His work has been published in leading journals, including The Lancet, Pediatrics, JAMA Pediatrics, and Addiction, and was the 2016 recipient of the New Investigator Award from the Society for Adolescent Health and Medicine. Dr. Hadland received his MD degree from Washington University in St. Louis, an MPH in Epidemiology and Biostatistics from the Johns Hopkins Bloomberg School of Public Health, and an MS in Health Policy and Management from the Harvard T. H. Chan School of Public Health. Dr. Hadland completed his pediatrics residency and chief residency at the Boston Combined Residency Program before pursuing fellowship training in Adolescent Medicine at Boston Children's Hospital and completing the Pediatric Health Services Research Fellowship at Harvard Medical School. Dr. Hadland holds board certification in General Pediatrics, Adolescent Medicine, and Addiction Medicine. Colleen LaBelle is board certified in addiction nursing, pain management and HIV with over 30 years of clinical experience in HIV and addiction. Labelle is the founder and director of the Office-Based Addiction Treatment program at BMC, also known as the Massachusetts Model, which has been replicated across the country as a nurse-led, primary care-based addiction treatment program. LaBelle also serves as the program director of the State Technical Assistance, Treatment Expansion of Buprenorphine (STATE OBOT B) and serves on the board of nursing appointed by Massachusetts Governor Charlie Baker. A board director of the International Nurses Addiction Board, she started the MA Chapter for addiction nurses serving as the executive director, with statewide collaboration on workforce development in educating and engaging nurses in addiction. LaBelle was the recipient of the 2016 Lillian Carter Exemplary Acts in Nursing Award, which is given each year by Modern Healthcare in partnership with the Lillian Carter Center for Global Health & Social Responsibility at the Emory University School of Nursing in Atlanta and won the Mayor's Award for Innovations in Primary Care for the integration of opioid treatment in a primary care in 2013. Marc Larochelle is a general internist and clinical investigator specializing in addiction medicine at BMC and an assistant professor of medicine at BUSM. Larochelle's clinical and research interests focus on the safety of opioid prescribing and the recognition and treatment of opioid use disorders. As a health services researcher, Larochelle aims to leverage insights from large data sources and translate the findings into interventions that improve the quality and value of health care delivered. 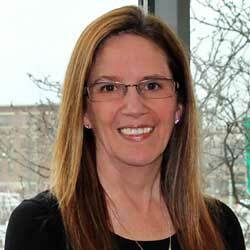 Karen Lasser is a general internist and member of the CARE unit at BMC. Lasser is also an associate professor of medicine at BUSM and associate professor of community health sciences at BUSPH. 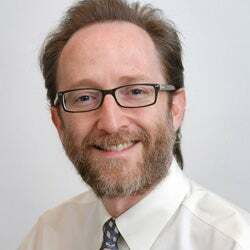 Lasser is a principal investigator of an NIDA-funded trial to determine whether four implementation strategies - nurse care management, use of a patient registry, academic detailing, and electronic tools - will increase primary care provider adherence to chronic opioid therapy guidelines and reduce opioid misuse among patients. Lasser has published over 50 peer-reviewed papers and her work has received international recognition. Theresa W. Kim, MD is a general internist and addiction medicine specialist at Boston Medical Center. 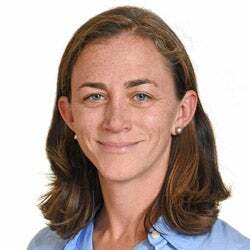 She is a faculty member of the BMC Clinical Addiction Research and Education (CARE) Unit and Assistant Professor in Medicine at Boston University School of Medicine. 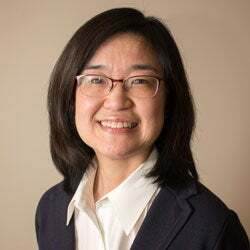 Dr. Kim's clinical work has focused on providing access to effective yet underutilized care for addictions, HIV/AIDS, and Hepatitis C infection for individuals with housing instability. Her practice at the Boston HealthCare for the Homeless Program has included HIV and shelter-based primary care since 2001. She serves as attending physician for Boston Medical Center's Office-based Addiction Treatment in Primary Care and the Inpatient Addiction Medicine Consult Service. Following tenure as Associate Medical Director of Massachusetts Screening and Brief Intervention and Referral to Treatment (SBIRT) Program, she joined the faculty of the Boston University Evidence-based SBIRT Student Training Project. 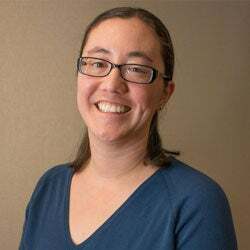 She has received NIH funding for her research on models of integrated addiction and medical care and medical complications of substance use including HIV infection and poor bone health. institutes of Health and Centers for Disease Control and Prevention (CDC)-funded researcher in the areas of substance abuse epidemiology and alcohol policy. His areas of expertise include binge drinking, youth drinking, health effects of alcohol consumption, and the effects of alcohol control policies on alcohol consumption and alcohol-related mortality. He previously worked as a physician for the U.S. Indian Health Service, and was a senior epidemiologist with the Alcohol Team at the CDC. Tae Park is an addiction psychiatrist at BMC and assistant professor of psychiatry at BUSM. His research focuses on mental health and addiction in primary care settings and the risks of benzodiazepine use in patients taking opioids for pain or addiction. 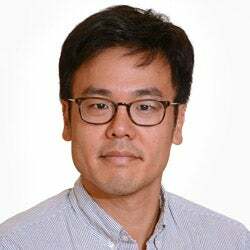 In addition to his work at BMC, Park helped develop the Brown University Addiction Medicine Fellowship, an American Board of Addiction Medicine-accredited addiction fellowship. As the Associate Program Director of the fellowship, he was involved in clinical and didactic teaching of fellows and residents. Joanna Piechniczek-Buczek is a practicing psychiatrist with expertise in emergency, addiction, and geriatric psychiatry at BMC and the executive vice chair in the department of clinical psychiatry and an assistant professor of psychiatry at BUSM. She has participated in numerous NIAAA and NIDA-sponsored clinical trials in which a wide range of medications were tested as treatments for alcohol and cocaine use disorders. Piechniczek-Buczek's expertise include treating elderly individuals with co-occurring mental health and substance use problems and treating substance use problems in medically compromised patients. She is also a graduate of the prestigious Alcohol Medical Scholars Program. John Renner Jr. is the director of the Addiction Psychiatry Residency Training Program and associate director of the General Psychiatry Residency Program at BMC and is a professor of psychiatry at BUSM. His research focuses on the treatment of alcoholism and drug addiction. In addition to his work at BMC, Renner serves as the Associate Chief of Psychiatry for the VA Boston Healthcare System where he directs their outpatient addiction treatment program. He also serves as the President of the American Academy of Addiction Psychiatry, Vice-Chair of the American Psychiatric Association Council on Addiction Psychiatry, and is a member of the Data Safety Monitoring Board for the Clinical Trials Network of the National Institute on Drug Abuse and the Clinical Advisory Committee of the Physician Health Service of the Massachusetts Medical Society. He is also former medical director of the SAMHSA funded Physicians Clinical Support System-Buprenorphine. Kelley Saia is the director of Project RESPECT (Recovery, Empowerment, Social Services, Prenatal care, Education, Community and Treatment), a high-risk prenatal clinic for pregnant and postpartum women with substance use disorder at Boston Medical Center. Dr. Saia is an assistant professor of obstetrics and gynecology at Boston University School of Medicine (BUSM). She is board certified in Obstetrics and Gynecology and Addiction Medicine. Dr. Saia is a regional leader and patient advocate in the treatment of substance use disorders in pregnancy and is actively engaged with the Massachusetts Bureau of Substance Abuse Services (BSAS), the Massachusetts Department of Public Health (DPH) and the American Society of Addiction Medicine (ASAM) in education and outreach programs for the medical community. Dr. Saia was given the Clinical Educator of the Year Award from BUSM in 2016. 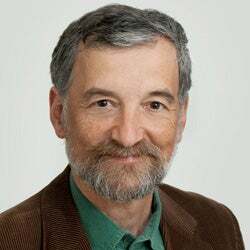 Richard Saitz is a general internist and primary care physician specializing in addiction medicine at BMC, professor of medicine at BUSM and chair and professor of community health sciences at BUSPH. In addition to his clinical work, Saitz's research focuses on improving the quality of care for people with unhealthy substance use, particularly in general health settings. 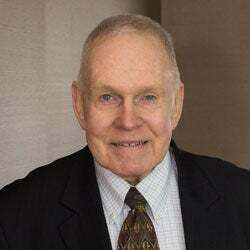 He serves as the Senior Editor of Journal of Addiction Medicine, Editor Emeritus of Addiction Science & Clinical Practice, Vice President of the International Society of Addiction Journal Editors (ISAJE) and an editor of The ASAM Principles of Addiction Medicine. Saitz was the recipient of the R. Brinkley Smithers Distinguished Scientist Award, American Society of Addiction Medicine and Distinguished Researcher Award, Research Society on Alcoholism. 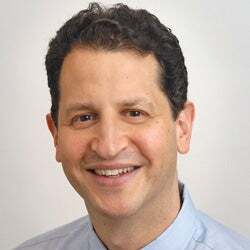 Jeffrey Samet is the chief of general internal medicine at BMC and the John Noble MD Professor in General Internal Medicine at BUSM and Professor of Community Health Sciences at BUSPH. He served as Medical Director of Addictions Prevention, Treatment and Recovery Support Services at the Boston Public Health Commission for 17 years and is the former president of the American Board of Addiction Medicine. Samet's research focuses on addressing substance abuse issues in general medicine settings and the impact of alcohol and drug use in HIV-infected persons. 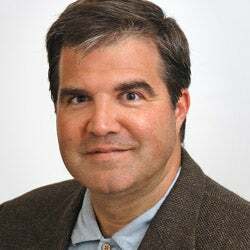 He is the Editor of Addiction Science and Clinical Practice and recipient of the John P. McGovern Award for Excellence in Medical Education from the Association of Medical Education and Research in Substance Abuse and the Excellence in Mentoring Award, National Institute on Drug Abuse. Elisha Wachman is an attending neonatologist at BMC and an Assistant Professor of Pediatrics at BUSM. She is the director of the Neonatal Abstinence Syndrome (NAS) inpatient quality improvement and research teams at BMC. Dr. Wachman is a regional and national leader in NAS research, with on-going projects related to the genetics and epigenetics of NAS, the development of a mouse model of NAS, clinical predictors of NAS outcomes, the use of non-pharmacologic care and novel assessment tools to improve NAS outcomes, and breastfeeding in the setting of substance use disorders. She is one of the co-leaders of the statewide NAS quality improvement collaborative. Dr. Wachman completed her pediatric residency in the Boston Combined Residency program, and her neonatology fellowship at Tufts Medical Center. 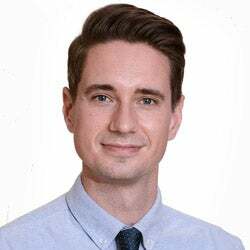 Alexander Walley is the founder of the Inpatient Addiction Medicine Consult Service, associate director of FASTER PATHS and the director of the Addiction Medicine Fellowship Program at BMC. 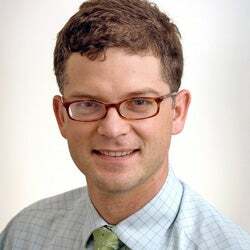 Walley also serves as an associate professor of medicine at Boston University School of Medicine and is the medical director of the Opioid Overdose Prevention Pilot Program at the Massachusetts Department of Public Health. Walley's extensive research on the impact of state supported overdose education and nasal naloxone distribution resulted in the nationwide expansion of naloxone among first responders to prevent the rate of opioid-related overdose deaths. Walley's other research endeavors focus on the medical complications of drug use, specifically HIV and overdose, and risk behaviors and harm reduction among HIV-infected people and people with HIV risk behaviors. In 2005, he founded the buprenorphine treatment program at the Dimock Community Health Center in and has previously served as the medical director of the Boston Public Health Commission methadone maintenance program. 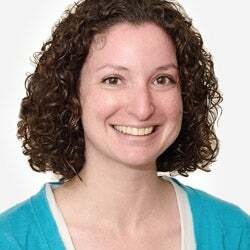 Zoe Weinstein is the director of the Inpatient Addiction Medicine Consult Service, a general internist at BMC and an assistant professor of medicine at BUSM. Weinstein's research is focused on long-term office-based addiction treatment with buprenorphine and was awarded the Ruth Fox Scholarship by the American Society of Addiction Medicine in 2015. Huiping Zhang is a researcher studying the genetic and epigenetic mechanisms of substance (alcohol or drug) dependence and related psychiatric disorders at BMC. Zhang utilizes a number of approaches to identify gene variants that may influence an individual's predisposition for substance dependence. Zhang joined BMC after completing an academic appointment at Yale University.